Your cell phone is your lifeline to the world. Get the repairs you need on your mobile phone from the team at Repair Zone. You can turn to us for repairs on all makes and models of Android and Apple phones from all carriers. Get full diagnostics and a lifetime warranty on service at one of our convenient locations in eastern Connecticut. A cracked screen is the most frequent type of phone damage we see at Repair Zone. The best way to repair your cracked screen is to take it to a professional repair technician. Often, this type of repair can be made while you wait, by the experts at Repair Zone. Our experienced repair technicians can replace your screen quickly and safely so that you can use your phone effectively again! If your battery life seems to be decreasing at an exponential rate and you feel like your phone is constantly tethered to its charging cord, it is time for a new phone battery. At Repair Zone, we can quickly replace your phone battery so you can continue to use your phone when and where you want. Another common issue with many smartphones is a broken speaker or microphone. This can significantly impair your ability to make and receive calls. If you are experiencing an issue like this, we accept walk-ins and pre-scheduled appointments so come in today and see how our experts can help you. Often, as a phone gets older, the buttons can start to wear out and become glitchy, particularly your home button and volume buttons. We keep parts for the standard repairs on hand, so we may be able to repair your phone the same day you bring it in! 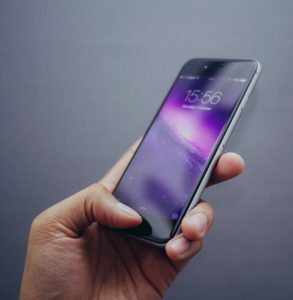 Not being able to access your phone can be frustrating, so let the experts at Repair Zone repair your volume or home button and get your phone back in optimal working order. Repetitive use of headphone jacks and water damage can often cause them to break or stop working properly. This is often indicated by a hissing or crackling sound. Come to see the experts at Repair Zone, where we can diagnose the problem and repair your headphone jack. Broken camera flash? No problem! Since this is a less common issue, it’s important to consult a cell phone expert for the repair by coming into Repair Zone and meeting with one of our experienced repair technicians. One of the most frustrating issues that can occur with your cell phone is a broken power button. Because of that, our experienced technicians have the tools and skill to quickly and effectively repair your power button so that your smartphone can continue working the way you need it to. In addition to being able to repair almost any cell phone issue, we are also equipped to repair many of the peripheral add-ons to cell phones. This includes blue tooth devices, camera lenses, and smartwatches. Our expert technicians are trained to troubleshoot and repair a wide variety of issues that can cause these devices to break or work incorrectly. Call to schedule an appointment or come in today to see how we can help.